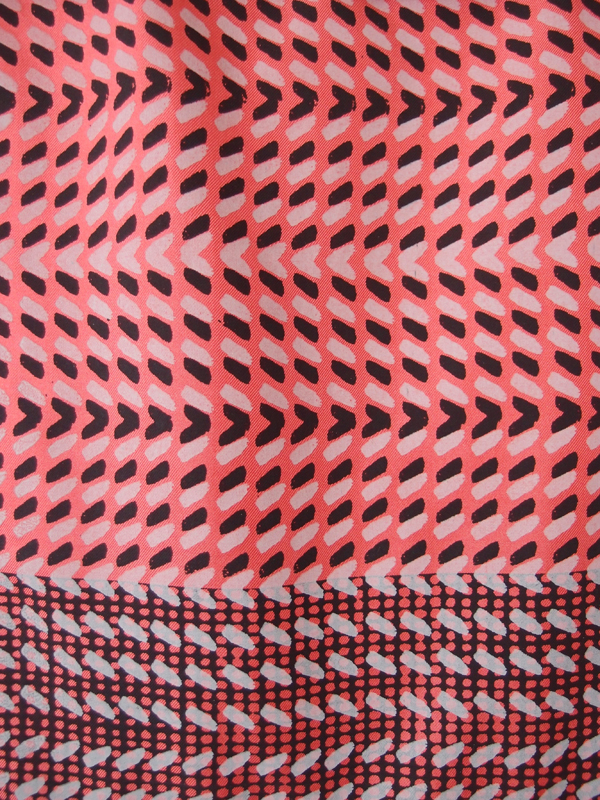 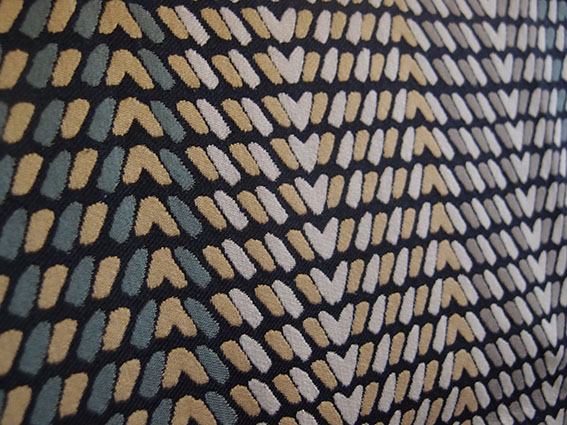 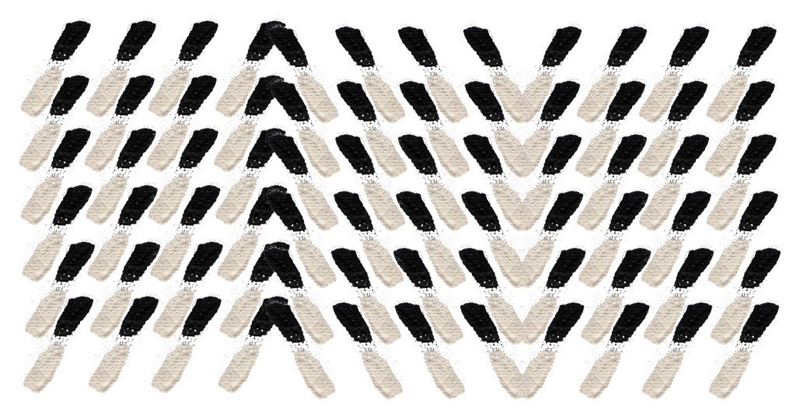 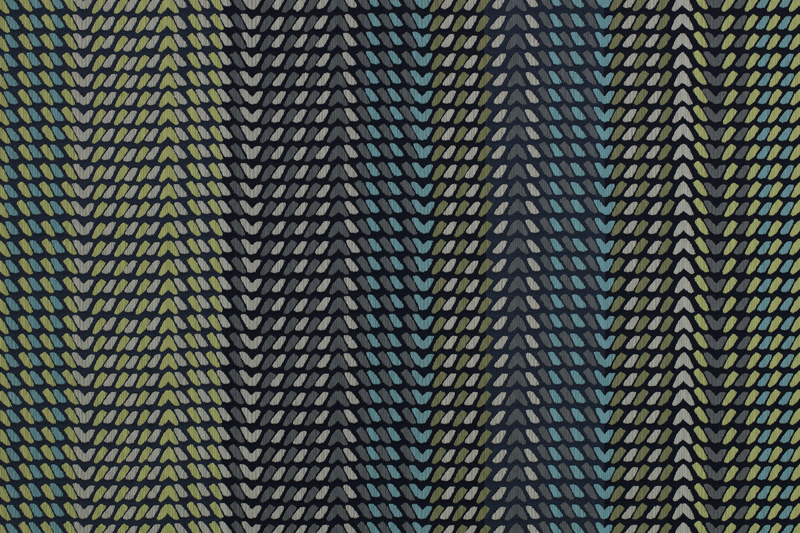 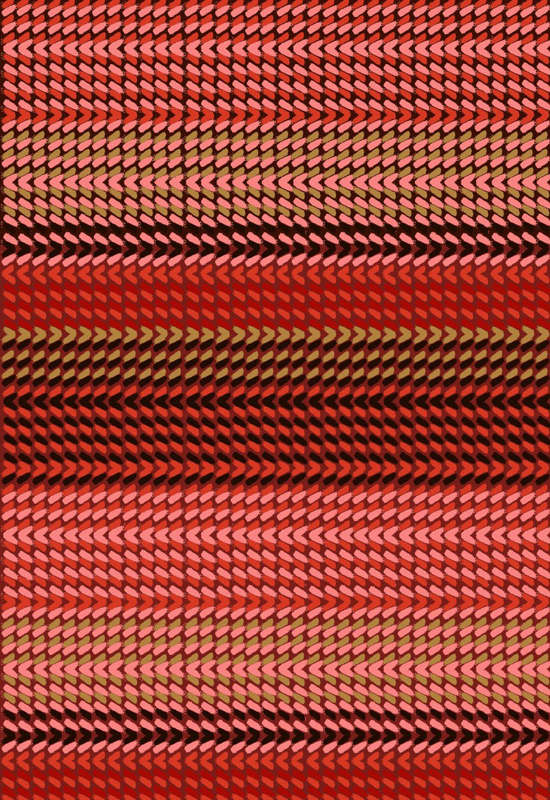 This textile design offers a playful perspective on a traditional strict pattern – the herringbone. 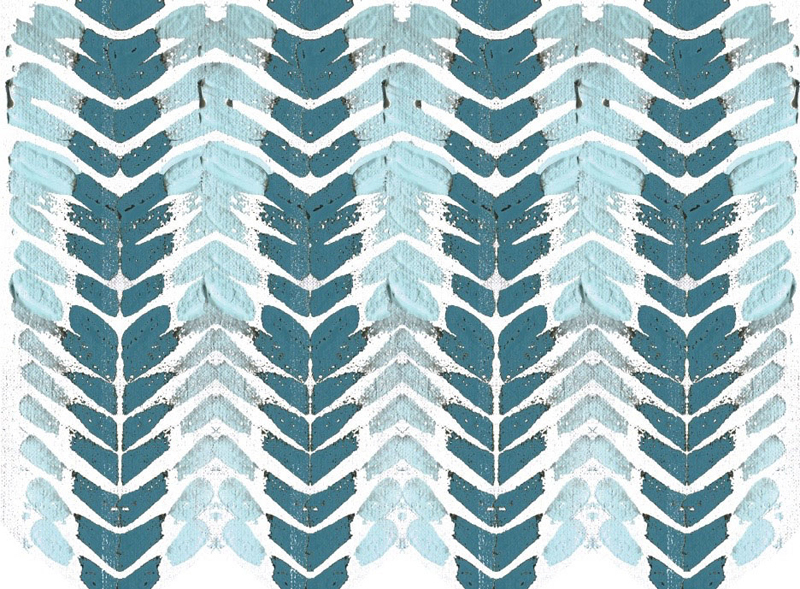 Reef originates from experiments with paintbrushes. 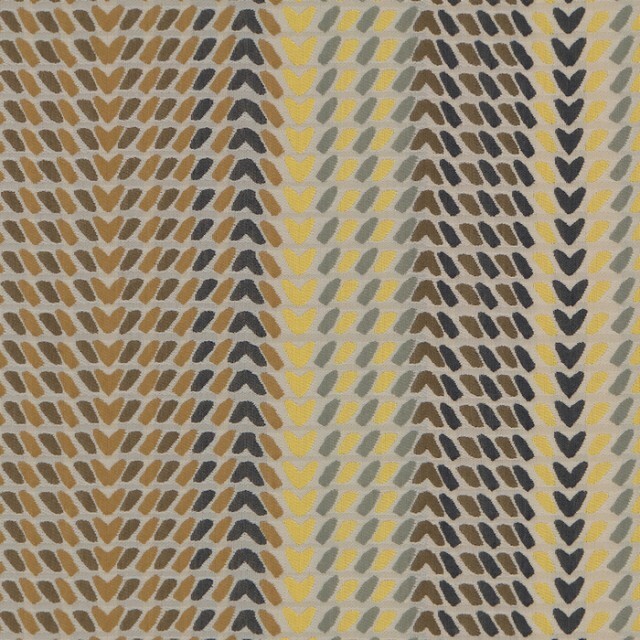 Imitating the classic herringbone design by hand with thick brush strokes, a new pattern was created that manifests soft amorphous shapes. 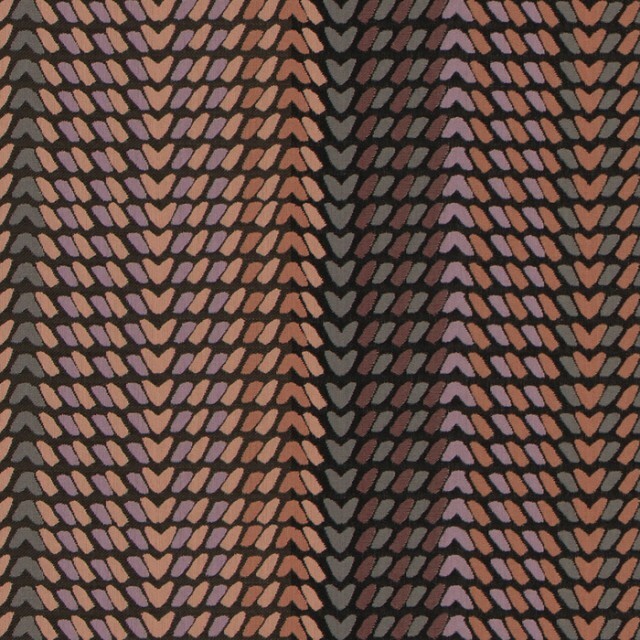 Its subtle irregularities lend the pattern a handmade touch, while the impeccable execution and the special material composition make Reef a unique fabric. 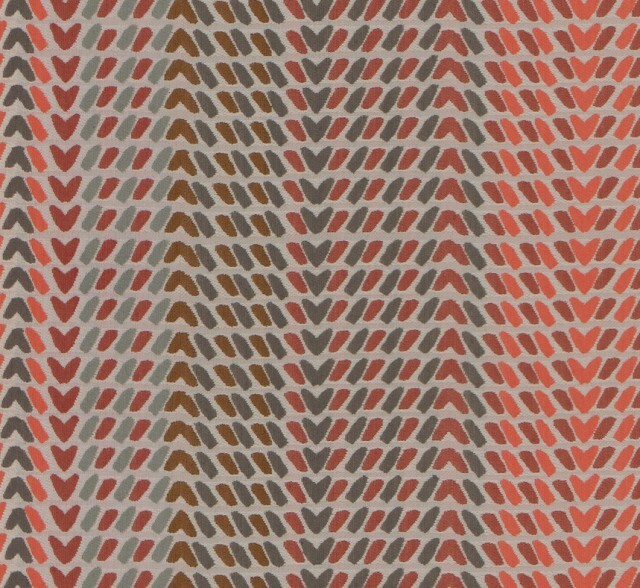 The relatively small repeat in the pattern itself and a large repeat in the lively colour stripes lend the fabric a strong presence and visual impact. 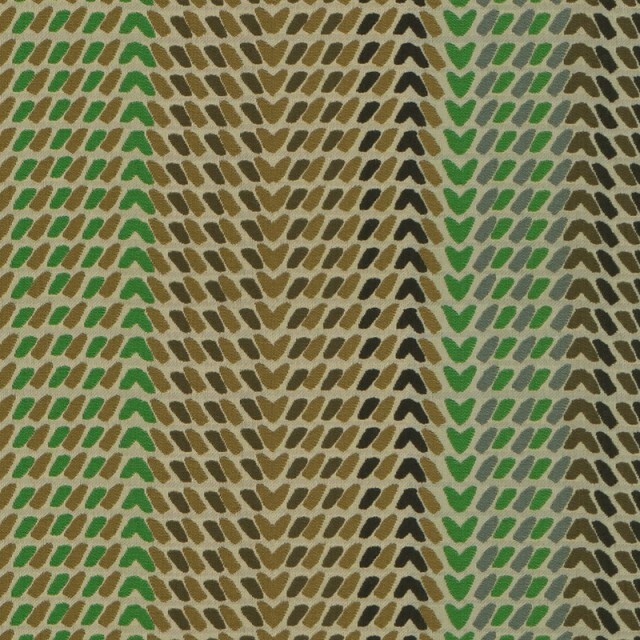 The textile’s colours change from vibrant to elegant in vertical lines, the contrast between bright and dark conferring an airy rhythm while the design’s overall appeal remains delicate and subtle.